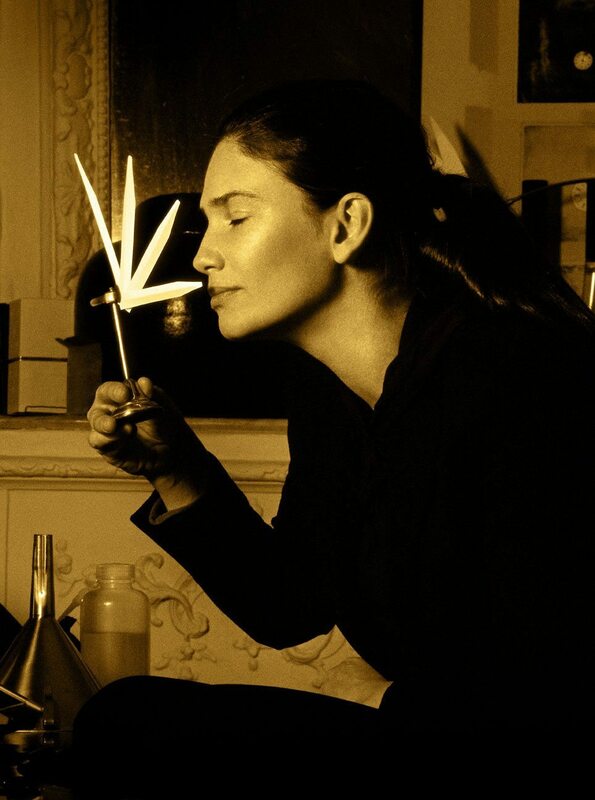 Olivia Giacobetti is a French perfumer. She discovered her vocation at 10 years old, while watching Jean-Rappeneau’s movie “Le Sauvage” in which Yves Montand is a perfumer. Her love of scents first goes to the raw materials, to the reality of our world rather than the abstraction of fashions. Her work comes from the desire to build a narrative form through scents. Her choices for professional independence allowed her a freedom of experiment and research in the creation of perfumes. Just one? Wood smells because there are thousands of them! White, black, dry, milky, burnt or wet – I can hardly think of a perfume without wood which for me is just like how the base or background is for a painter. I have plenty – the solfège of a perfumer is a series of memories, of emotions remembered. The most intimate of them is probably the smell of my teddy-bear when I was a child. Just thinking of him brings back nap times and his familiar smell, a mixture of straw and boiled wool. 7. In your opinion, which animal creates the most empathy? 8. Synesthesia: do you have sensorial associations with shape, colour, scent, and sound? My work is based on the association game, the illusion of perception where senses blend together, melt into each other and for me, smell brings out all the senses. 9. What fault do you have? 10. And which characteristic do you gain most from? 14. The book that opened your eyes to the world? Letters to a Young Poet by Rainer Maria Rilke, I was 16 years old then. The movie Le Sauvage from my childhood, directed by Jean-Paul Rappeneau, because it inspired me to become a perfumer. 18. If you were to have a museum, which sculptor and sculpture would you choose for it? The sheer folly of artist Olafur Eliasson – the Weather Project, or Your Sun Machine. 20. Which people, real or fictional, inspire you most? It’s more than just a character as it’s often a detail that catches my attention, an appeal, the unusual off-the-wall thing, a sensation which brings something else and creates a new craving, a new idea. I also rather like works by some artists like Anish Kapoor or Yoshioka Tokujin where I find magic, an extraordinary poetry, which inspire me a great deal. 22. If you could offer a bouquet of flowers to a bird, what would it be? A bouquet of mint and chocolate cosmos flowers, chocolate scented! 24. Where do you escape to? Where there is water – as far as your eyes can see. 26. Do you have a motto that you use as guidance and illumination? 27. Does the act of creating govern your life? It becomes something essential that I look for, a feeling of the unknown, of mystery, just like a need to go towards what’s still strange to me. 28. As a gift what would you like to give that would make something? 29. If you were to talk about your job to young talented people, what would you say as encouragement? I would only give one piece of advice – by imitating others too much, one tends to forget our own world, it kills both our instinct and imagination. 30 & 31. According to you, what is craftwork in modern times and setting economic or social issues aside, how can rare productions of noble quality be beneficial today? France is a real gold-mine but the savoir-faire has gotten lost in standardization ruled by marketing and the desire to please the largest audience. Today everyone gets dressed and perfumed almost in a uniformed way, it’s terrible! Craftsmanship, rare creations, the “little hands” seem to be the only future of luxury versus an exhausted market by standardised and globalized brands. We’re already seeing an urge for more truthfulness. 33. And what would your favourite diptyque scent (perfume or candles) be? 34. For you, diptyque in a nutshell? Creation of their own world standing apart from the fashion trends.